Delphiniums are known for their graceful and charming nature with their subtle blossoms. They are a lot more than just showy tropical blooms which manage to grab your attention. The vibrant flowers stand to symbolize intense emotions and show of love. They can be a great addition to your floral arrangements with their beautiful nature. The delphinium flowers are also called meadow flowers, larkspur, knight's spur, and even bird's claw. The flower is derived from a Greek word which means Dolphin. If you observe a single bloom from the flowering plant, you can spot a dolphin like a figure. The wide range of pink delphinium colors can make a defining statement in any floral arrangement. The flowers carry a lot of meaning and hence, can be used for a number of special occasions. In ancient times, it was used to ward off negativity and bring in a positive spirit to the surrounding. It signifies the lighter side of life when there are stressful things around, it lets you explore new opportunities and options. 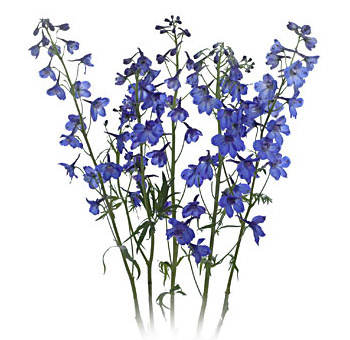 You can quickly get your hands on delphinium flowers for sale from trusted and reliable online florists like Whole Blossoms. This tropical flower grows as a wildflower in parts of Europe and the US. Native Americans used it as a dye plant, and it was also used to communicate in cheerful surroundings. The deep blue color explores a lot of deep emotions. In medieval times, it was extensively used as a medicine, to help with relaxation. If we go by ancient lores, this was also considered as a protective plant as it has several medicinal uses as well. People are known to exchange the flower on goodwill and to encourage each other to achieve their dreams and goals. The feathery spikes of delphinium can add a gorgeous tinge of colors with their many shades of blue. These flowers look best with large and spacious arrangements. With the addition of long curly willow branches and some white flowers, they can make the perfect wedding bouquets. The dwarf varieties of delphiniums are also famous for their divine texture with floral arrangements. If the wedding theme is blue, then it matches to be a unique natural flower. Even individual selection of the flower can be perfect for subtle and inexpensive corsages of boutonnieres. Blue delphinium colors are trendy and can be used to create beautiful and unique wedding bouquets. Dark blue delphiniums can make for a joyful presence and can be the perfect gift option for a floral arrangement. You can also use dark blue delphinium wedding flowers to brighten up the overall theme. The flowers are popularly known for their many amazing shades of blue, particularly violet. The flowers can grow up as high as 6 feet and can be used to make the perfect mixed bouquet. The dramatic presence of the flower can surely work its charm at a wedding. The distinct blue color of delphiniums is scarce in nature, and that's the reason it's admired so much. True blue shades are limited to a few species and hence, can create a surprisingly beautiful backdrop. Along with other flowers, they can make the perfect contrast with creative floral arrangements. Where to buy wholesale delphiniums online with the best quality and price? 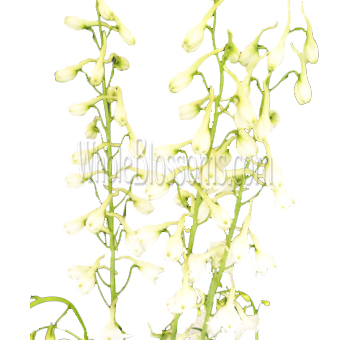 Get your hands on delphinium flowers for sale from trusted online floral shops. Whole Blossoms is one such reliable florists where you can quickly get fresh arrangements of flowers. Map out some creative ideas to make enchanting wedding bouquets and floral arrangements Delphinium symbolizes dignity and grace with its presence. Even the light blue color of the flower can stand to represent the power of youth or the blooming nature of life. Enjoy the joyful nature of the floral arrangements with Delphinium flowers. If you are looking for bulk purchase of flowers, then surf through Whole Blossoms right away. Get the flowers delivered right to your doorstep in just a single click. Share the elegance of the delphinium flowers with its divine nature. The flower can amplify the floral setups at weddings and other special occasions. With distinct arrangements, you can share the love of the graceful flowers with anyone. 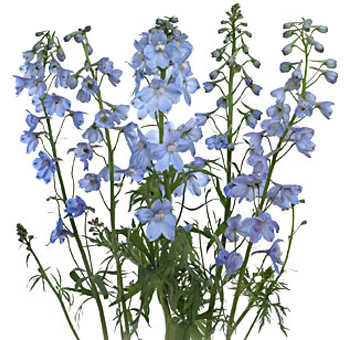 Get your hands on the best quality of delphiniums from reliable online florists. With the best prices, you can easily make a good purchase through trusted florists. 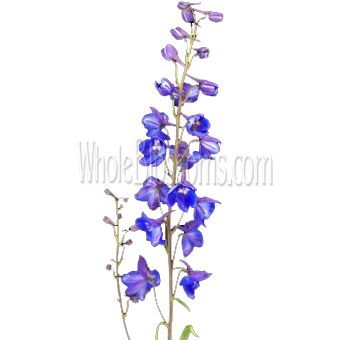 The wide range of delphinium colors can bless any special occasion with their charming nature. You can use dark blue delphinium wedding flowers to make a vibrant addition to the wedding bouquet. The variety of colors of the flower is relatively very rare due to the genetics of the plant. Get your fresh flower delivery today!